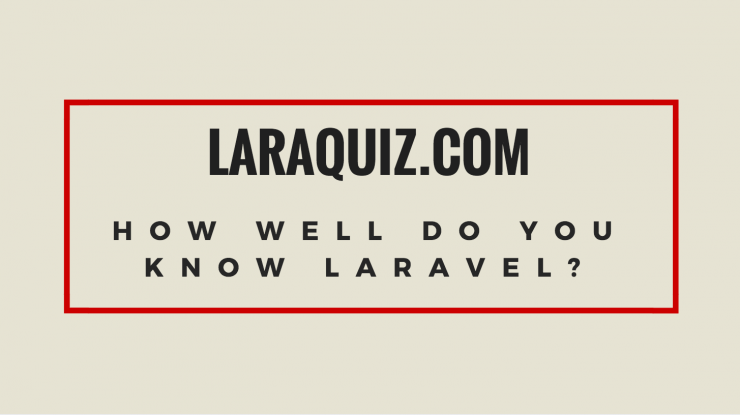 LaraQuiz is now open-sourced: create your own quiz sites easily! 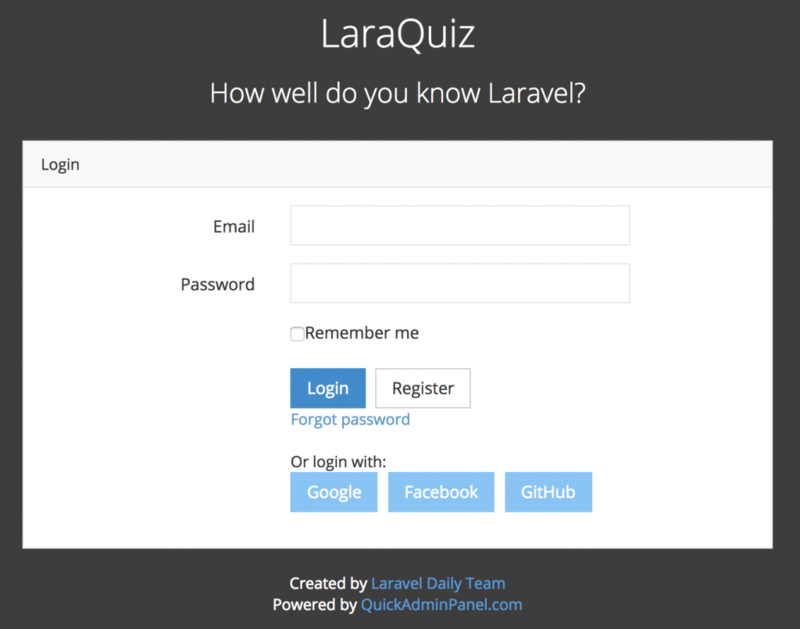 A few weeks ago our team launched a new mini-project called LaraQuiz – for those who want to test their Laravel knowledge. Partly it was a showcase what can be generated with our QuickAdmin. Today we decided to put all the code on GitHub – feel free to create your own quiz sites. That’s it – allow people to register and take quizzes! We’re planning to launch more applications generated with our QuickAdmin, so stay tuned!